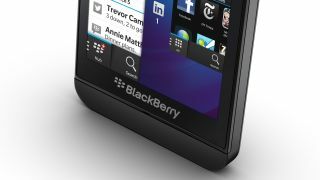 BlackBerry is instructing users to ditch the latest version of its Twitter client and downgrade to the previous iteration, following a host of complaints from BB10 users. The beleaguered company has pulled the current, glitch-heavy app (version 10.2.2) from the BlackBerry World portal and says users should delete the app from their phone. BlackBerry has reinstated Twitter v10.2.1 within the app store and says users can access it by entering the device's settings and refreshing BlackBerry App World. The former version of the app should then appear and be available for download. Simple. A pain in the rear end, but simple nonetheless.